Discussion in 'iPhone' started by guitargoddsjm, Sep 19, 2014. 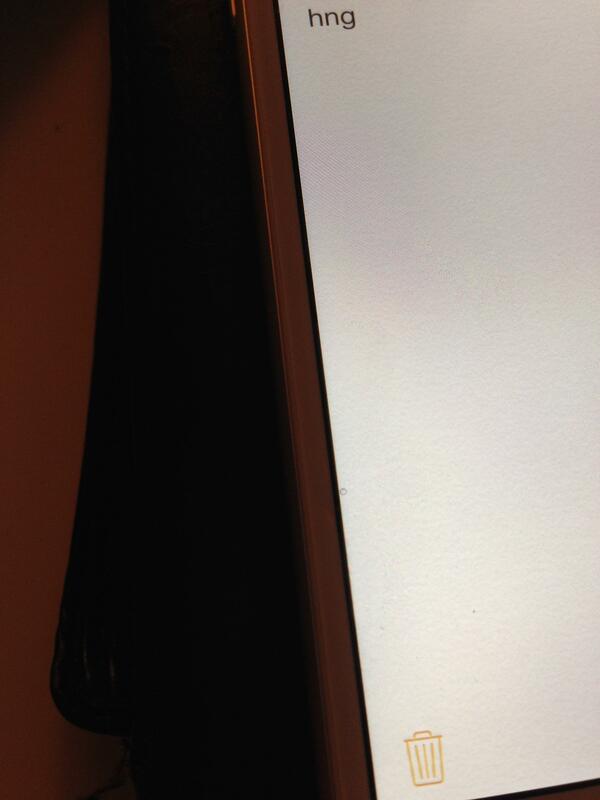 There are like 5-10 spots/marks on the screen of my iPhone 6. They look like small water spots or little bits of dirt that might form on any other screen that could be rubbed away w/ a finger and maybe a fingernail, but they won't go away. I'm going to try a little bit of screen cleaner when I get home, but I feel like they won't go away. Has anyone else had this happen w/ their phones? This may sound stupid, but you did take the plastic seal off the phone right? Mine had a spot underneath the glass. Took it to Apple and they replaced it with another one that had a different spot. Got that replaced with yet another one with a spot in a different place and I couldn't swap that one as it was the last one in stock. Yeah. Just noticed a spot under the glad in my 6. After taking all dang night to my do restore from iCloud backup I think I am going to try to ignore it for now. Had mine replace instore yet again I have dead pixels and one white spot. Here's a pic of mine. Black circle near bottom left. First one had dust under the screen. Second one had lots of dead pixels. Third one had white spots. Now I have to wait till Tuesday for replacement stock.